From Tom Slater’s “What is Gentrification?” – a good intro to understanding its processes. 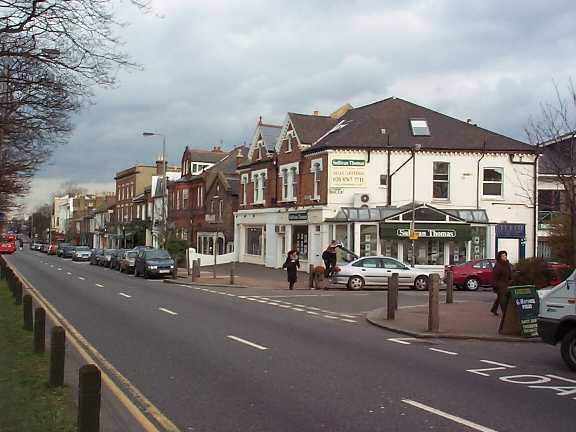 At the southern end of Wandsworth Common in South London is a street called Bellevue Road. Twenty years ago, it was quiet street lined with shops serving a long-established working class population. Local residents would greet each other in the bakery when buying warm rolls, or talk about the weather and their families whilst the butcher next door cut some luncheon meats. In the evenings there would be quiz nights in the pub, where those who worked long hours at nearby Wandsworth Prison could forget about the demands of their jobs and chat to the landlord about football, politics or a recent television documentary. Many people knew each other on a first name basis and were happy to be living so close to the open space of the Common, where their children could spend hours watching the frequent trains hurtle towards Clapham Junction, or keep out of mischief in a game of cricket or football before spending their pocket money on a sweet assortment from the local newsagent. The entire area wasn’t a space waiting to be ‘discovered’ – it was a place which hadn’t changed for years, a home which had become inextricably entwined with each resident’s identity for generations.